My Facebook timeline has had a fair share of posts this week from relieved parents claiming 'Little Bonjela has got her place at Saint Mavis the Indignant's school for Young Pedants'. Blessed relief and dashed hopes have swept across the land for all those children moving up to Year 7 in September. I even posted our own good news. What blessed relief the good MrsC and I felt, mixed with the ever present doubt and uncertainty as we release Flossy into the wild. Flossy's giddy at the news, it was her idea to go to this school and she got what she wanted. I see it as the least worst option. It was a complicated path as the school is in a different county and we'd already made a different choice by the given deadline. Like most parents we do what we have to do. 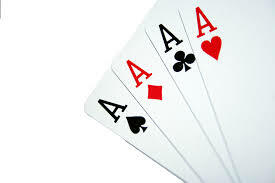 I confess that we played every Ace in the pack, the vulnerable child card and previous LAC* card the poor little adopted kid card. We called the head of admissions, twisted every arm, give full, and frank, accounts of early life experiences and talked them into a corner and tried to vicariously traumatise them in the increasingly desperate attempt to get her admission to the school that we all felt was the right one. We expressed our concerns over the local feeder Megaschool Learning Factory, we tried everything we could. We got in. It's made me think though. I never wanted my children's status as adoptees to be anything other than their business. Of course if you know anything of us then you'll realise that we let it all hang out and a jigsaw family like us demands a few answered questions. But I never wanted us or them to be treated differently, for years I was slightly embarrassed by our receipt of adoption support allowance as I felt that we should stand on our own two feet like every other family. I have changed. The day I tendered my resignation at work because the behaviour of the children was way outside of normal I changed. I realised that we were never going to be normal and that to try and live under the radar was potentially going to disadvantage the children and us. So we fight the systems that would prefer all children to be cookie cutter kids, the system that sometimes baulks at children that step outside of 'normal'. We make the calls, speak to teachers and administrators and doctors and anybody who'll listen. We read the legislation and guidance arming ourselves with facts and figures and then ask the questions that we already know the answers to. I trained to be Social Worker and MrsC studied child psychology for two years in part to equip us for this journey and we've often read more books than the people sent to help us. I go to teacher inset days to train on the impacts of trauma etc. we network and soak up tips and tricks. We tell anyone who'll listen that they 'need' to understand the impact of my children's early lives. We make friends and we don't care if we lose friends we do what we have to do to navigate our children through all of this. I sat with a friend, who has adopted children, in a professional meeting recently regarding some policy or other and she whispered I know this meetings not about my child but if it doesn't go how I want it to it will be. She was slightly scary when she said it. I still feel sad that I'm forced to play the adoption card to get the support and care that every child should get as standard. *'Previous LAC', what a God awful phrase.